Dual Group One winner Alizee is one of three entries from Godlphin for the $5 million All-Star Mile. 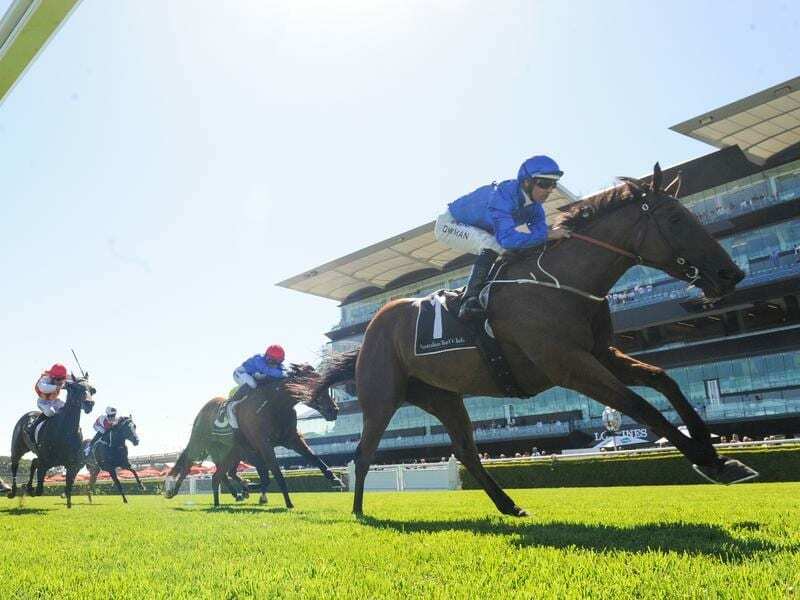 Godolphin’s royal blue colours have been to the fore in a host of Australia’s major races this season and the global operation is hoping to make an impact in one of the country’s newest features. Trainer James Cummings has announced proven Group One winners Hartnell, Alizee and Best Of Days are the stable’s nominations for the inaugural $5 million All-Star Mile at Flemington on March 16. Ten of the 14 spots in the race will be decided by public vote. Nominations for the race close on Tuesday, with voting to run from January 21 to February 18. Stable stalwart Hartnell won the Group One Epsom Handicap over 1600m at Randwick during his 2018 spring campaign. Dual Group One-winning miler Alizee missed the spring but made a winning return last month in the Listed Christmas Classic at Randwick. The imported Best Of Days claimed an impressive victory in the Group One Kennedy Mile at Flemington in November. Best Solution, trained by Saeed bin Suroor and Cross Counter trained by Charlie Appleby, claimed the Caulfield and Melbourne Cups respectively for Godolphin’s European arm while Cummings saddled Exhilarates to win Saturday’s $2 million Magic Millions Classic. “We’re really excited to be part of the richest mile race anywhere in the world,” Cummings said. “At weight-for-age and with the first running at Flemington, we’re pretty pumped up to see how many people might vote for our runners. “All three horses are in great health. Alizee won effortlessly first-up. We haven’t seen the other two on the track yet but they’re both training beautifully in the preliminary part of their preparations. Victoria’s premier trainer Darren Weir last week bolstered his entries to 11 with the stable’s nominations including Group One winners Brave Smash, Amphritite, Extra Brut and Land Of Plenty in addition to Ringerdingding who was entered some time ago. That leaves Chris Waller among the big guns to put his stable’s entries in. Racing Victoria has announced The Good Friday Appeal as the official charity partner for this year’s All-Star Mile. The $500 nomination fee for every horse entered will go to The Good Friday Appeal, an annual fundraising activity on behalf of The Royal Children’s Hospital.